I hope everyone can bear with me while I continue my search for the perfect signature cupcake. As you might have seen this past weekend I made three different cupcakes: Mexican Hot Chocolate with Cinnamon Icing, Angel food with Apricot filling and an Angel food with Lemon Curd filling.Thank goodness for a family pot luck and co-workers to help eat them up so they don't sit around the house taunting me. The chocolate and lemon curd filling ones were pretty darn good; and probably will be made in the future both as cupcakes and as whole cakes. However, I didn't fall in love. I'm not 100% sure they are the ones I want to serve at my sister's bridal shower. So I'm still on the hunt for the perfect cupcake. Almond joy cupcakes all the way!!!! I vote Pumpkin, but with cream cheese frosting! I love caramel... but a decision like this can't just be made willy nilly! You should take into account WHEN the shower is. A spring shower should not have a pumpkin cupcake... 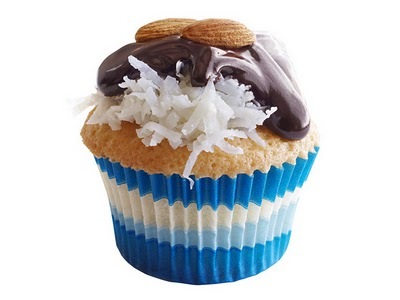 Nor should Summer involve a chocolate cupcake... see different season's call for different flavors. 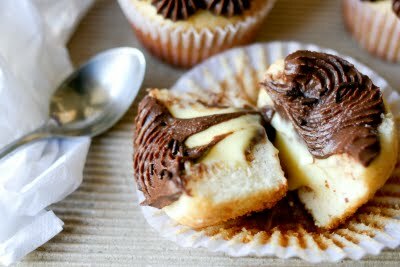 Cool people think you should make Boston Cream Cupcakes... Which would really be like an Eclair. Is that what you want when I come to visit? :)We can make it happen. Do you have a cupcake pan?